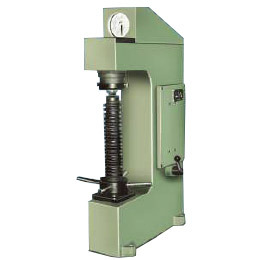 SAROJ Hardness Testers, Model RAS, RAB-1, RAB-250, TWIN are manually operated. 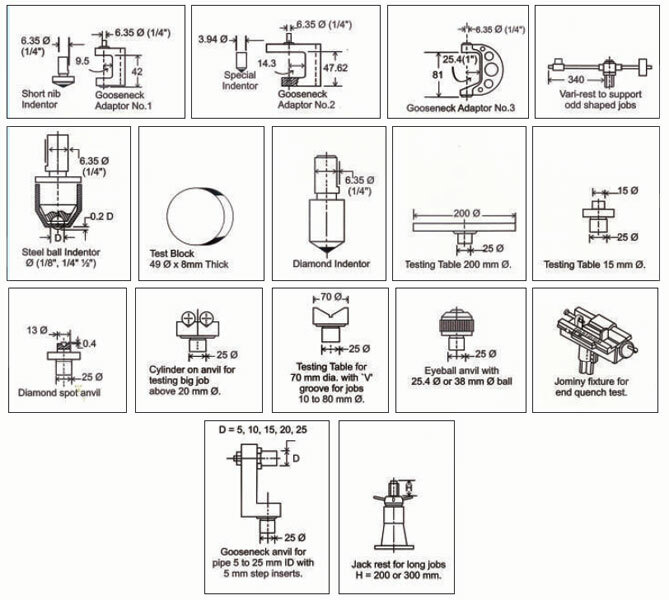 All these models are suitable for testing hardness of metals sand alloys of all kinds hard or soft, whether flat, round, or irregular shape. These testers are simple in design and easy to operate, yet sensitive & accurate. Various models from the wide range are suitable for schools, laboratories, tool-rooms, inspection, heat treatment departments, factories etc. These testers strictly confirms to IS : 1586-2000, ASTM : E 18 for Rockwell Superficial Test and IS : 2281 -2005, ASTM : E 10 for Brinell test. hardness of non- ferrous metals. Similar to 'RAS' but motorised model. 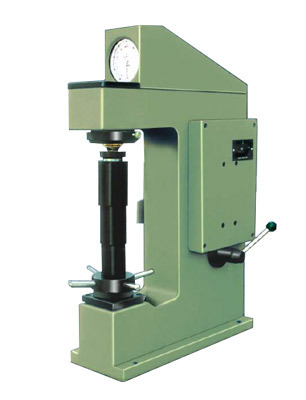 Semiautomatic operation for production testing. Drive motor single phase 230 V 50 Cycles. Testing Table 38mm dia with 'V groove for round jobs 6 to 45mm dia. Use of combinations of 60, 100 & 150 kgf. loads against Diamond Indentor and 1/16" stell ball indentor permit carrying out tests on Rockwell D, F & G scales. By use of 1/18", 1/4" & 1/2" dia. ball indentors in combinations of 60, 100 & 150kgf. 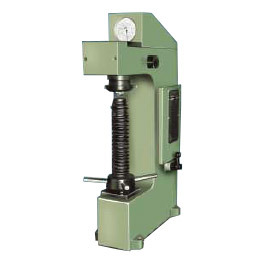 loads, tests can be carried out on Rockwell E, H, K, L, M, P, R, S & V scales also. Due to constant R & D, specifications and features are subject to change without notice. The diamension given are approximate.